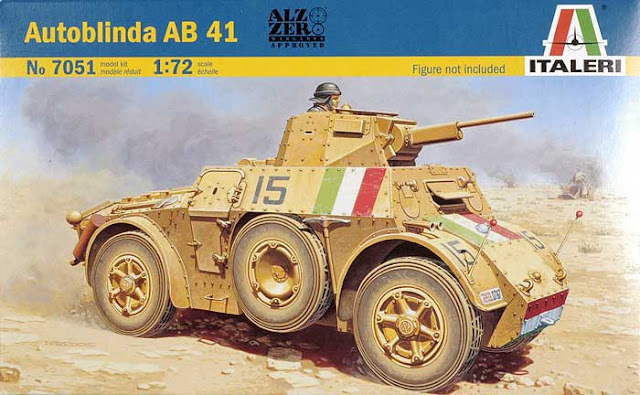 Welcome to my first review of 1/72 vehicle, the Autoblinda AB41 of Italeri. BOX ART >> A nice realistic illustration, which correctly depicts the vehicle. It could be more sensational, but it's ok. 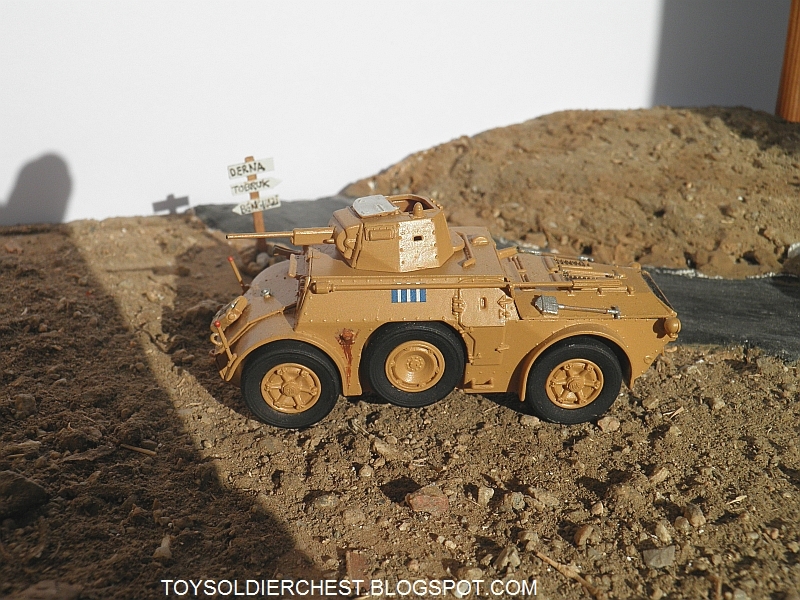 The rear of the box is very useful, as it gives three camouflage schemes, something that is very appreciated and will save long hours in search of something more exciting than the typical camo. There is not much to say, it is just and plainly exact and perfect. Everything fits, there is no problems, no errors. This has a great merit, as it is a vehicle with many angles, there are many possibilities of some plate that doesn't fit, but no, everything has been well done and you will not need putty to fill cracks nor anything like it. The final sensation is of museum-like perfection. The only small thing you could complain about is that maybe the cannon is too fine, but you could also say that other companies make the cannons too big for 1/72. You don't get many really, just four cans of petrol. No man, no little diorama, no boxes, nothing. It would have been nice to have included the driver in the illustration, but well, nothing can be perfect. You have a couple of nice possibilities for this kit besides the most typical ones, not many but interesting all the same. 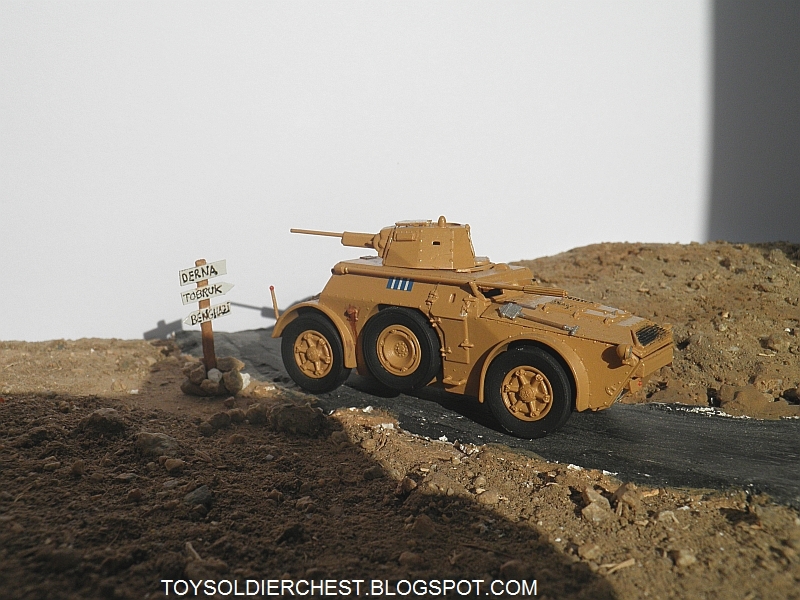 The first is camouflaging it for the Germans (as they named it, Spahpanzerwagen 501), and there is more than one camo. The other option is to make some other italian camo with green like the one showed below. It can be found for a moderate 10 GBP on eBay. I was lucky to find it on retail for 7-8 €. Only 550 were made, but all saw active combat, and it was the most common armed car in the Italian army, so it has quite good historical importance. The germans made a further 120 as Panzerspahwagen AB41, which shows that it was a useful vehicle. 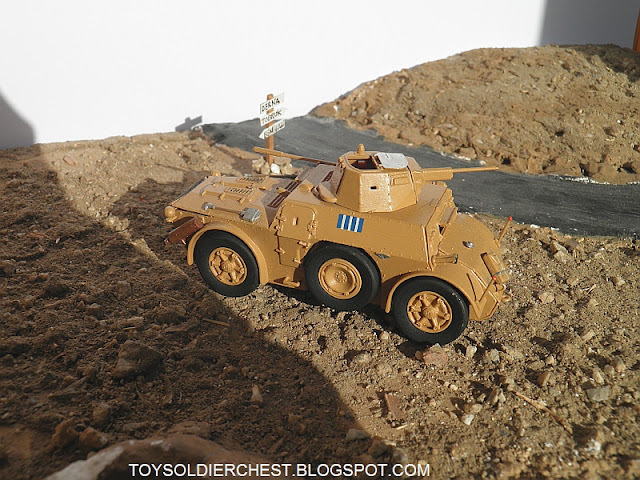 Probably the most important armed car that wasn't made yet in 1/72. It is approved with the "Alzo Zero" label as suitable for wargaming, as lately with all Italeri kits. It is quite easy to build the model .Maybe the wargamer will not glue some of the more fine details to handle it more easily, and it will have a lot more detail than a die-cast or other ready made models. Knowing it's importance, a such good quality kit for a reasonable price like it has, you just have to buy it. 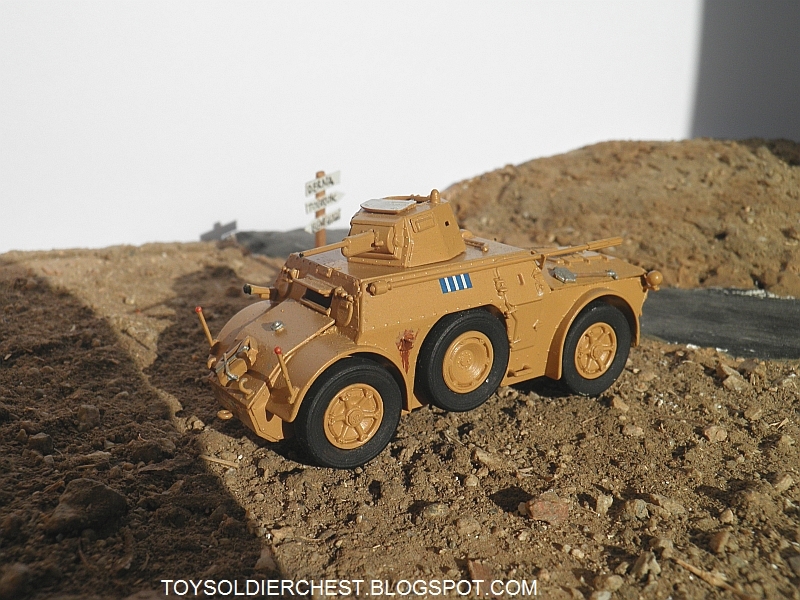 It is also very needed for wargaming, to represent the Italian armed cars. 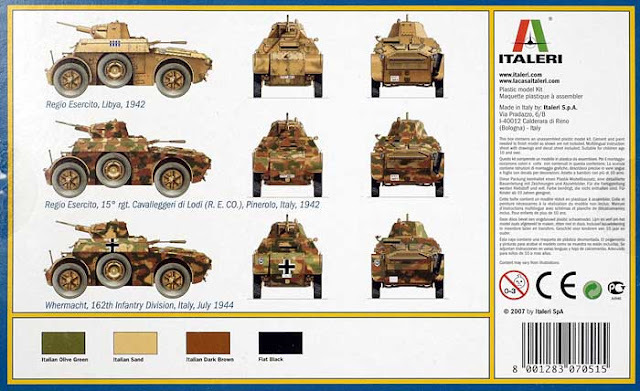 Italeri has done honour to their homeland and has given a very much needed representation of many Italian vehicles, which to this date had only existed in 1/35. Model kit made by myself.